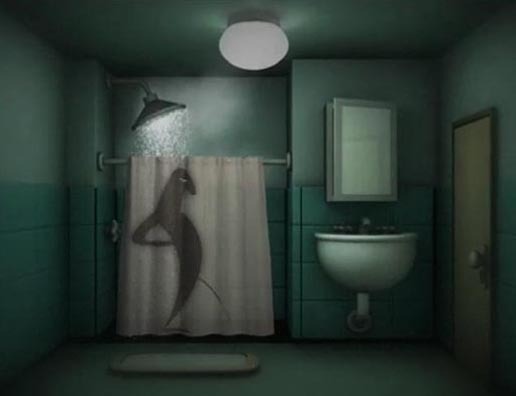 “Xi Xi No Banho”, the “Pee in the shower” campaign from Brazil, won three Lions at Cannes International Advertising Festival 2010. Created by F / Nazca for SOS Mata Atlantica, the campaign won a Silver for PR, a Gold Lion for Film Craft (animation), and an award in the Titanium & Integrated Lions category. Fundação SOS Mata Atlântica (SOS Atlantic Forest Foundation) launched the Pee in the Bathroom campaign in 2009 to raise awareness of a simple practice for the sake of the environment. People are encouraged to pee in the shower to help Brazil save up to 4.38 million litres of water per year. The Pee in the Shower campaign was developed at F/Nazca Saatchi & Saatchi, by creative director Fabio Fernandes, creative director/copywriter Eduardo Lima, art director João Linneu, agency producer Regiani Pettinelli, advertiser’s supervisors Marcia Hirota and Ana Lígia Scachetti, planners Fernand Alphen and Dorian Dack, account supervisor Daniela Keller. Animation was by director/compositor Fernando Sanches, with production at Prodigo Films, São Paulo, with art director Vanessa Lobo, art director/3D animator Felipe Jornada, 2D animators Bianca Beneduci and Massao Assaga, compositor Massao Assaga, 3D animator Alexandre Jum, assistant director Juliana Cabral, character concept artist Bianca Beneduci, executive producer Francesco Civita. Sound designer/arranger was Silvio Piesco at Studio Tesis.